Plan a vacation spent in comfort and ease surrounded by southern hospitality and the rich Civil War history of a home built on the site of a battlefield. 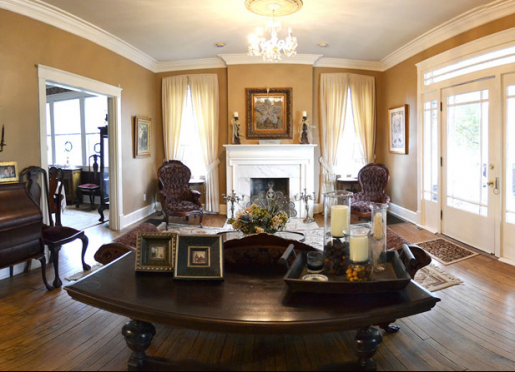 Magnolia House Bed and Breakfast in Franklin, Tennessee was built in 1905 on the historic site of the Battle of Franklin. 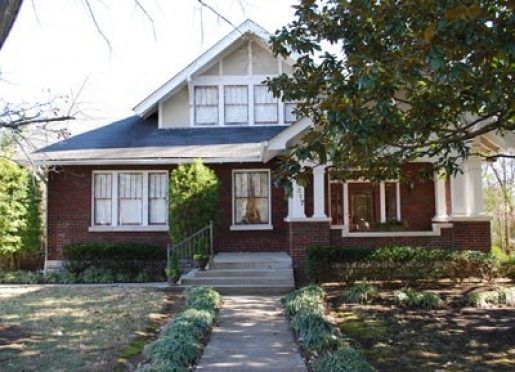 The house is just a fifteen-minute walk from the downtown area of historic Franklin. Carnton Plantation is one mile away from the home, Carter House is two blocks away, and Lotz House is also within walking distance. Nearby, there are more historical homes, shops, antique stores, restaurants, and Civil War sites such as Murfreesboro and Spring Hill. Nashville is only twenty minutes away. For those who wish to spend more time outdoors, there are a few recreational parks and golf courses. The craftsman style Magnolia House consists of four large guestrooms with private baths and elegantly appointed with antiques. Guests also have access to the sitting room equipped with a fireplace, small library of books, games, magazines, and refreshments. 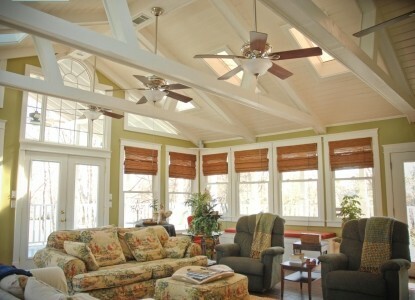 The sunroom and porches offer ideal spots to put your feet up, relax, and soak up the sunshine. The formal living room downstairs features a gorgeous antique grand piano and Victrola. Each morning at 8:30AM, a southern style breakfast is served in the formal dining room or in the breakfast room. For those who prefer to rise early, freshly brewed coffee is available at 7:00AM. The Magnolia House Bed & Breakfast owned by Jimmy and Robbie Smithson, was built circa 1905 on the land that was the site of the Battle of Franklin. This Craftsman Style home has undergone two renovations; the most recent completed the Spring 1997. The front porch is shaded by a huge old magnolia tree. From May to July the tree is in full bloom with beautiful large white blossoms that have a wonderful lemon-like fragrance. 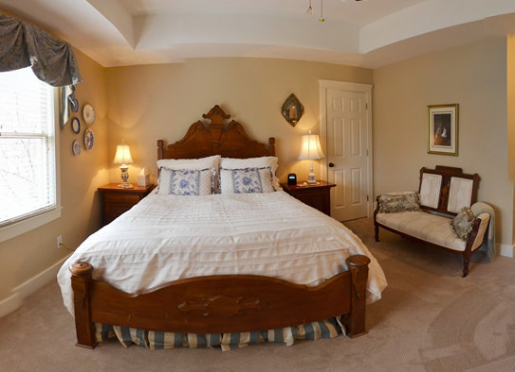 There are four spacious guest rooms individually decorated and include fine linens and down comforters and pillows to ensure a wonderful night's sleep. 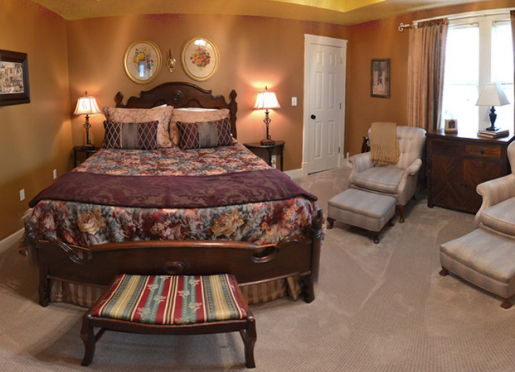 All rooms have private baths (one with small jacuzzi) and are tastefully decorated with antiques. The guest rooms adjoin a spacious sitting room with fireplace, furnished with books, magazines, games and refreshments. 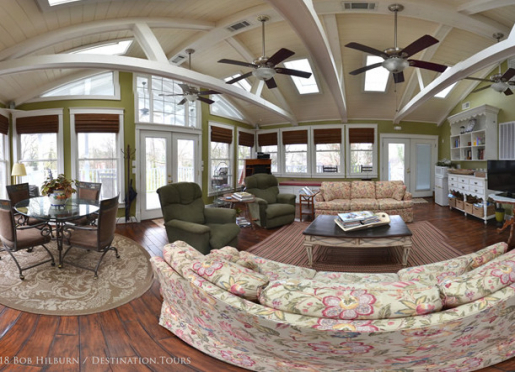 The sitting (gathering) room opens into a large sunroom for additional seating and relaxation. Enjoy this recently added spacious sunroom with vaulted ceilings, skylights and much light for reading, playing games, watching tv or just relaxing. The sunroom is furnished with games, books, music, tv, a small refrigerator, a microwave and dining/game table. This room is surrounded by wraparound porches furnished with rockers and and a porch swing. Guests are also welcome to relax downstairs in the formal living room and gather around the beautiful antique grand piano and Victrola to experience the wonderment of days gone by. Thank you for your interest in Magnolia House Bed & Breakfast. We hope you will come see us soon; we'll make you feel at home. Travelers are always looking for memorable and relaxing experiences. Let’s discover more through the words of our innkeepers. Many thanks to Jimmy and Robbie Smithson for sharing their own secrets with BBOnline.com! Hospitality, comfortable beds, linens, food. I love meeting people and establishing friendships and the feeling of knowing our guests are happy they chose Magnolia House while visiting the Franklin area. They said this was the most comfortable Inn and they enjoyed the breakfasts. We do not accept pets, but there are several places in the area for pet boarding. Freshly brewed coffee is ready by 7:00 a.m. for early risers. A full seated southern style breakfast is served at 8:30 a.m. (unless other arrangements made) in the formal dining room or the charming breakfast room. "I enjoy cooking and trying out new dishes quite often; so the menu is not planned. I try to accommodate guests' requests." 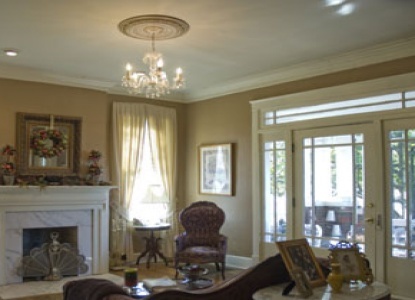 The Magnolia House Bed & Breakfast is located with 2 blocks of the Historic Carter House and 1 mile of the Historic Carnton Plantation, and is a pleasant walk to historic downtown Franklin. Historic Franklin and Williamson County are set in the scenic hills of Middle Tennessee. The charming downtown area with its restored and renovated 19th century homes and shops is listed in the National Register of Historic Places. Main Street is lined with specialty shops, antique stores, and restaurants. Franklin is a Tennessee Main Street Community under the National Trust for Historic Preservation. The town holds special annual events throughout the year with home tours in December and May. The Magnolia House Bed & Breakfast is a member of the Williamson County/Franklin Chamber Of Commerce. Historic Franklin was established in 1799. It is rich in Civil War history - the decisive and tragic Battle of Franklin was fought here. This brief, bloody and incredible fierce Civil War encounter took place on November 30, 1864. Although it lasted only five hours, some 8,578 Americans were killed, wounded or taken prisoner. Five other battles were fought in the county during the war. The Carter House which was the Federal Headquarters during the battle and the Carnton Plantation which was used as a field hospital by the Confederate Army, are both National Landmarks and are open to the public. Franklin was the heart of the Middle Tennessee plantation country in the mid 19th century. Many of the ante-bellum plantation homes are still in existence today and can be seen on a driving tour. Also of particular interest is the Natchez Trace Parkway which winds through the country. 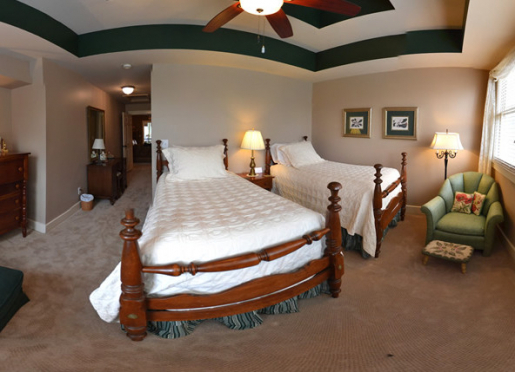 "We have stayed in B&Bs from Branson, MO through Alaska, and throughout the British Isles. We have our own "The Very Best" list/category, and Magnolia House has quickly moved onto that list. Very pleasant hosts, very clean, very attractive and very good food." "Your home is beautiful! The food was great! Your family has made our stay very memorable. We will definitely be back!" "Well, I can say that this wasn't our first stay in a B&B -- but it was definitely one of the nicest stays that we've ever had. Many times the description and what a place is really like are often (quite) different, but this time it was a pleasure to find more than what we expected. The accommodations were very comfortable, the food was delicious, and the hosts were more than delightful." "What a charming home you have. It's not only lovely, but is brimming with love and laughter. We will be back!" "Thank you so much for the absolutely perfect evening and warm, cozy morning. We just didn't want to leave. Your beautiful home and gracious hospitality made a special night, perfect -- looking forward to our next stay." "Buttery, smooth embroidered, golden sheets under a down duvet --- such comfort following a lengthy day of travel. We thank you for your perseverance and hard work and cheerful attention to detail, right down to the quality towels and amenities." 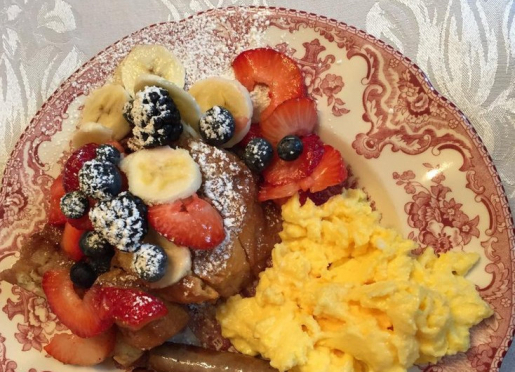 "Thanks so much for the beautiful stay in a real Bed & Breakfast. Everything is done so well, from the comfortable bed to lighting, bath, food and anything one could want. Loved relaxing in the sunroom."